The number of 100 won coins circulating in Korea as of June 31 declined during the six month period starting January for the first time in 19 years, according to the central bank, Tuesday. The Bank of Korea (BOK) said there were 9.52 billion 100 won coins circulating in the country at the end of June, down 690 million coins from January. This is the first time the number has declined in a six-month period since the first half of 1998 when Korea was hit hard by the Asian financial crisis. Combining 10 won, 50 won, 100 won and 500 won coins, the total number of coins in circulation also declined by 720 million. The central bank has not been minting 1 won and 5 won coins since 2006. From January to June this year, the BOK minted coins worth 20.31 billion won while taking back coins worth 27.13 billion won. The value of new coins halved from a year earlier and that of collected coins increased threefold during the same period. The decline of coins was attributable to the expanded use of credit cards and mobile payments. BOK data showed that the average amount of non-cash payments stood at 376.1 trillion won last year, up 8.1 percent from the previous year. For the BOK, such a movement is in line with its goal of realizing a coinless society in Korea by 2020. In April, the BOK launched a pilot project allowing change to be charged as credits in prepaid cards. While coins are disappearing with the monetary authority discouraging the use of them, bitcoin(s) are surging and seek to get the status of a legal method of payment in Korea. Since November last year, the Ministry of Strategy and Finance, the BOK and other financial authorities have been operating a task force for the institutionalization of the digital currency. The task force's job is yet to hit its full stride, as the BOK does not recognize bitcoin as a lawful currency. However, talks are expected to pick up momentum, as a growing number of public institutions are recognizing bitcoin's economic value. In June, Korea Asset Management Corp. (KAMCO) put up 216 bitcoins confiscated by police for a public auction. It was the first case that a public institution recognized the digital currency's economic value. In March, BOK Governor Lee Ju-yeol pledged that he will join international debates on bitcoin, adding that Korea seems to lag behind other countries in embracing such digital innovations. In April, the Japanese government gave bitcoin the status of a legal method of payment. As of Sunday, the total market cap of bitcoins stood at $72.49 billion, topping that of PayPal. 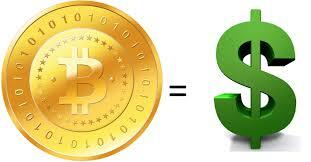 One bitcoin was trading at around 4,390 won, Tuesday.